BLOX is one of Copenhagen’s major urban development projects and a new destination on the city’s harbour front. Home to Danish Architecture Centre and BLOXHUB. Designed by the internationally renowned architecture firm OMA (Office for Metropolitan Architecture). BLOX is much more than a building. BLOX is virtually a new neighbourhood on the harbour front in historical, central Copenhagen. 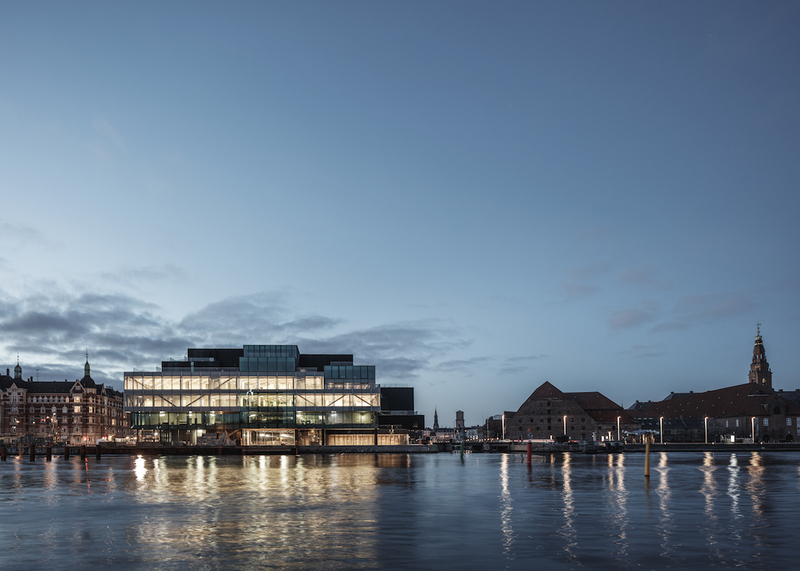 Among other functions, the building is home to the Danish Architecture Centre’s exhibitions, design shop, café and offices and to BLOXHUB – an interdisciplinary innovation environment for sustainable development. The complex includes new public spaces, a harbour promenade, bridges, a café and restaurant with canal side terrace, fitness centre, apartments and the city’s coolest playground. BLOX is built and funded by Danish philanthropic association Realdania. BLOX is designed by OMA Partner Ellen van Loon. At BLOX, the urban routes reach into the heart of the building and create a broad range of interactions between the different program parts and the urban environment. Making the most of the site’s potential by bridging the road, the building is an ‘urban generator’ actively linking the city and the harbour front. Passers-by can look into and through the transparent building, which faces the city and invites people to visit the harbour front. BLOX was designed and built as a living building and an active contributor to the urban pulse. OMA, founded by Dutch architect Rem Koolhaas, is among the leading architect firms in the international arena when it comes to reconciling theoretical practice with a playful, unconventional and dialogue-oriented approach to architecture. BLOX is OMA’s first project in Denmark and a new ‘must see’ in Copenhagen. The Danish Architecture Centre is Denmark’s meeting place for architecture, design and urban culture. Here, everyone is invited to take part in inspiring knowledge, experiences and fresh perspectives on architecture’s potential to improve living conditions for the many. 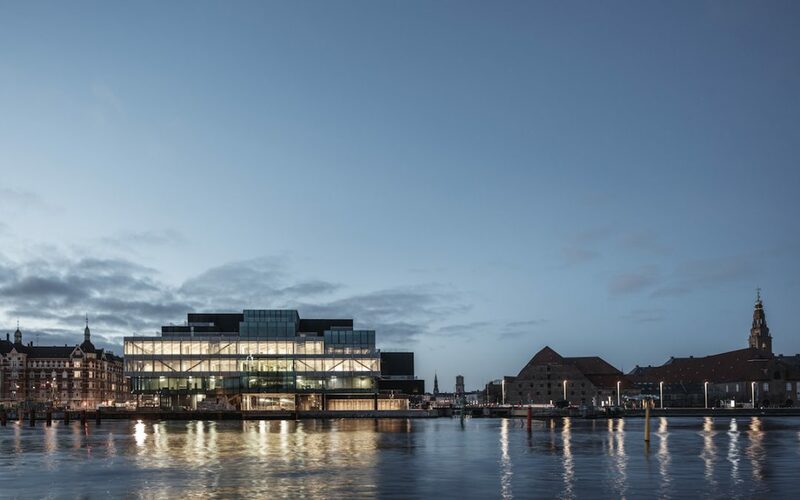 The Danish Architecture Centre occupies a central position in BLOX and offers world-class exhibitions, guided tours, events, a design shop, a café and conference and teaching facilities. The Danish Architecture Centre opens at BLOX in May with the exhibition ’Welcome Home’. The exhibition is a kaleidoscope of different angles on Danish homes and housing dreams – from the historical shifts that have shaped the way we live, via current challenges that raise questions about the way we live today, to artistic and technological visions for our future dwellings. BLOXHUB is an interdisciplinary innovation environment with more than 500 seats in open office spaces for everyone involved in developing our cities. Through custom-designed activities BLOXHUB matches companies, organizations and researchers and helps to disseminate the sustainable solutions that make cities liveable. BLOXHUB is an international player in the effort to define and develop good city life and ultimately help to achieve the UN Development Goal 11: to make cities inclusive, safe, resilient and sustainable. When BLOX opens in May, BLOXHUB covers a total of 10,000 m2. In addition to the modern facilities at BLOX, BLOXHUB also occupies the listed complex Fortifications Depot (Fæstningens Materialgård) from 1740, which is going to house a large start-up and research community. BLOXHUB is jointly funded by the City of Copenhagen, Danish Ministry of Industry, Business and Financial Affairs and Realdania. Realdania is a philanthropic association that seeks to improve quality of life through the built environment, defined as the physical settings for our everyday life. Realdania is focused on both living and future generations and seeks to promote sustainability and generate new knowledge and innovation. BLOX is funded by Realdania, and BLOX is built and owned by Realdania By & Byg, a subsidiary to Realdania.